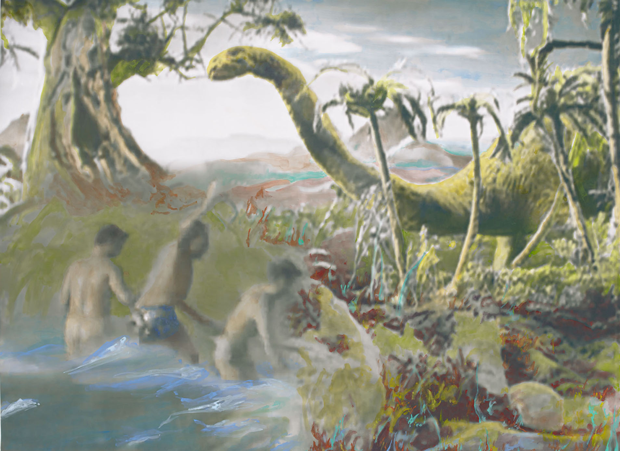 Charlie Don’t Surf explores generational relationships with imagery and visual culture, considering how associations adapt and alter over time. 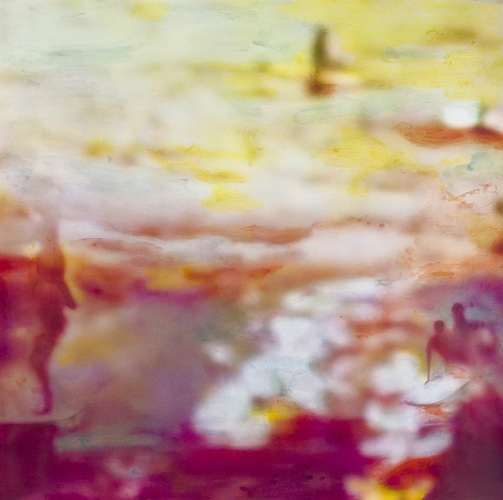 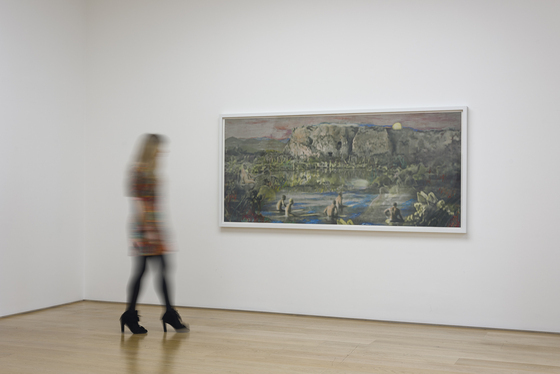 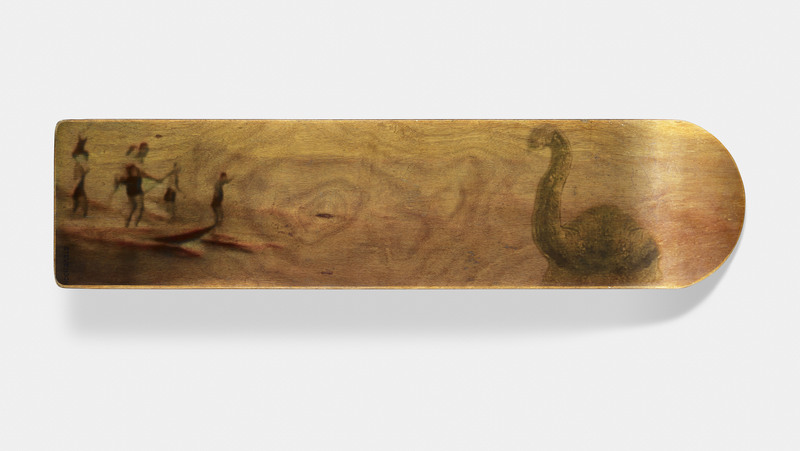 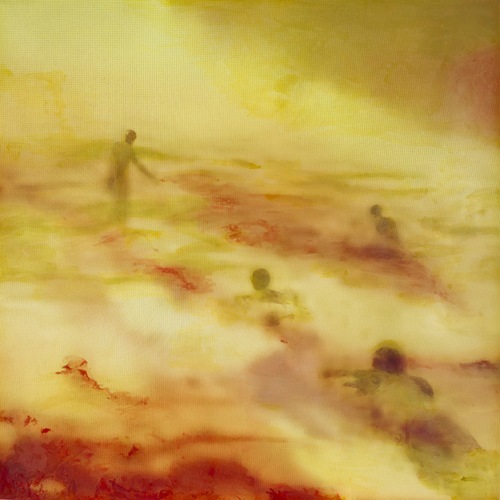 In a departure from the miniature paintings in oil and encaustic Golden is best known for, large-scale sumi watercolour and ink works reimagine found photographs and illustrations to embody an interrelation between past and present. 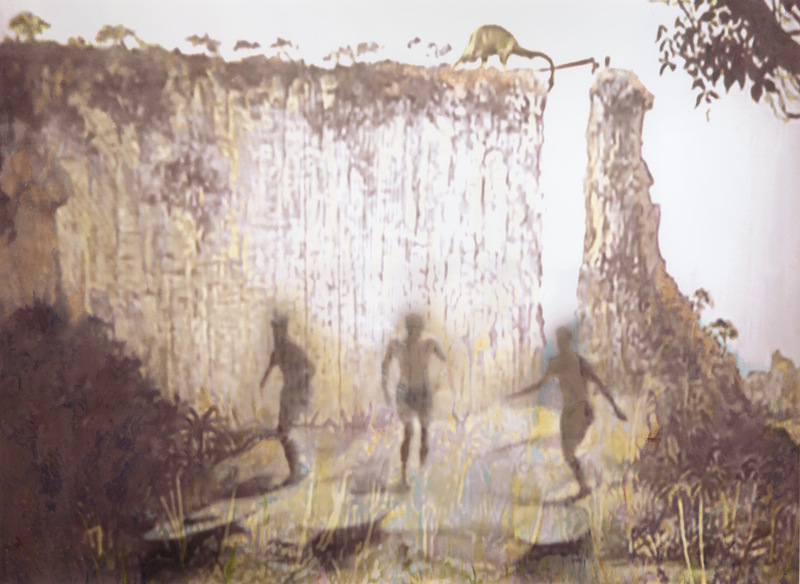 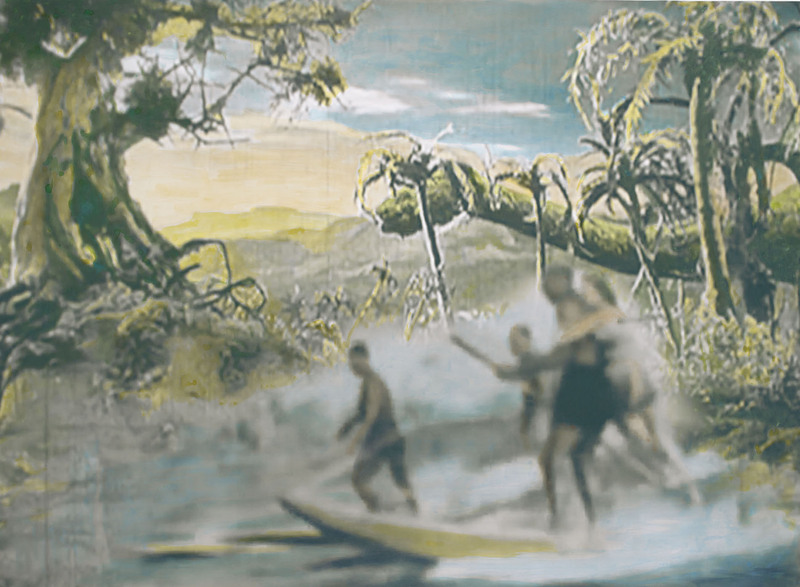 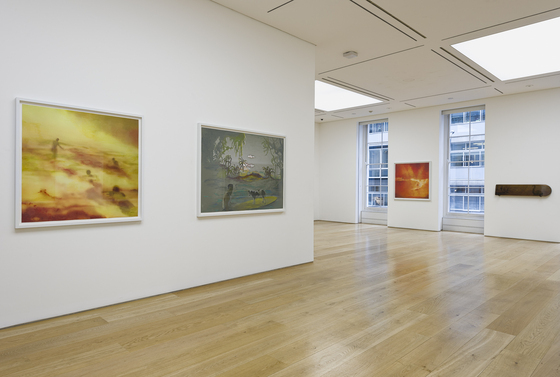 Appropriating the exhibition title from a line in the 1979 film Apocalypse Now, which in turn became the title of a song by the Clash, Golden’s new series of paintings use photographs of American soldiers surfing during the Vietnam War as a visual reference, juxtaposed with found illustrations from retro Science Fiction. Influenced by Sontag’s 1965 essay ‘The Imagination of Disaster’, Golden explores cultural anxieties in relation to visual culture; by painting the ‘unthinkable’ – be it conflict, apocalypse or a long lost time-period – the artist exposes universal concerns of the human psyche. 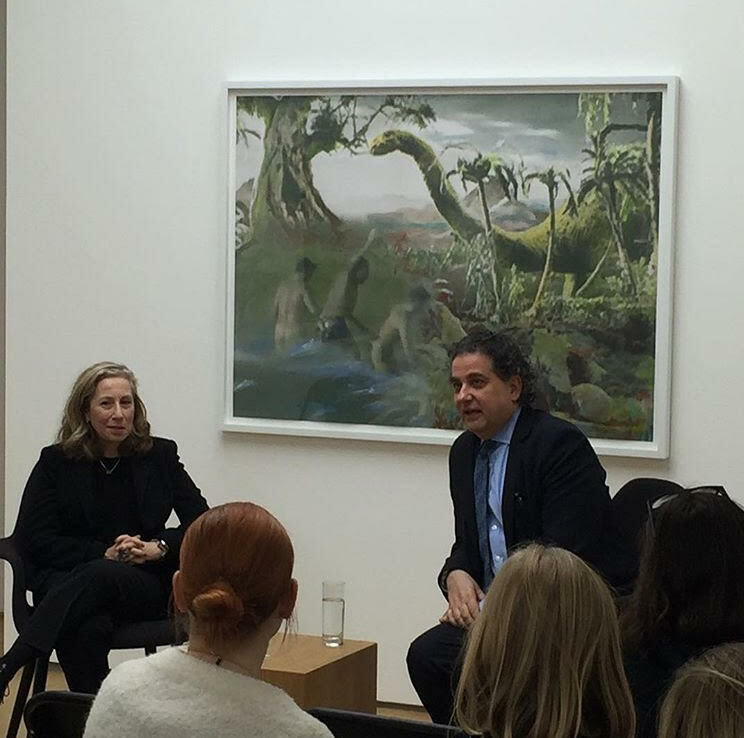 Pamela Golden and Andrew Renton in conversation about dinosaurs, surfing and dystopian imagery in relation to the exhibition "Charlie Don't Surf" took place on Wednesday 2 December 2015.